You are here: Home / News / Melissa & Adam Tear It Up At The GLAAD Awards! 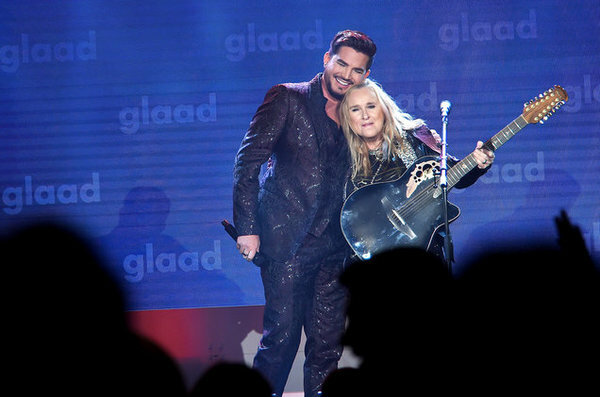 ICYMI: Melissa Etheridge and Adam Lambert finally got their chance to sing together, and they did so on the 2018 GLAAD Awards! These two powerhouses blew away the audience with their dynamic duo rendition of Melissa's mega hit, I'm The Only One. WATCH @Adam Lambert and Melissa Etheridge's unforgettable performance of "I'm the Only One" from the #GLAADawards!